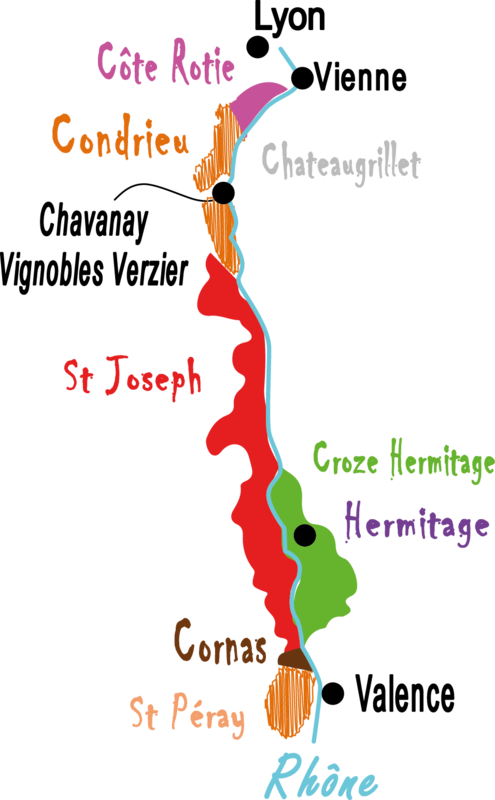 The red and white Saint Joseph wines come from the plots called Blondeau and Ballustre. The upper soils are very light, pebbly and sandy, the subsoil is granite and the vineyards are south and southeast facing. They are situated at 300 m in altitude and have a magnificent view of the Mont Pilat. The climate of the area is sub-Mediterranean. The plot called La Madone is situated just beneath the statue on the edge of the Izeras hillside. 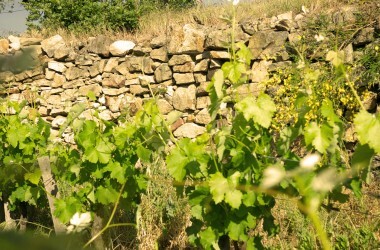 This plot surrounds our domain and protects the old vines which are more than 50 years old. Their roots have grown deeply into our terroir. The plot called Chante-Perdrix (a singing partridge) is situated on the Izeras hillside and is the home of our Condrieu wines. The Viognier grape variety thrives in this idyllic spot which has terraces overlooking the Rhone Valley at an altitude between 200 m and 330 m.
The vineyards planted on terraces on the hillsides and which have alternate rows left for natural grasses to grow means that erosion is limited and the soils retain a good level of organic matter. Travaux en vertUn grand soin pour chaque ceps As soon as the winter pruning ends and the canes have been tied to the trellises, we start working on the land. We plant new vine stocks to replace any vines which need doing so. Then we restore the dry-stone walls in the hillsides. After, we then begin the green pruning which involves de-budding, removing laterals, attaching, leaf-thinning and green harvesting. Everything is done by hand; great care is taken when working on each individual vine stock. Our main value is organic farming, both being in harmony with and respecting nature. Our aim is not to “fight” against disease but to make our vines stronger and more resistant, healthier and more balanced so they can cope naturally with disease or other external problems which may occur. 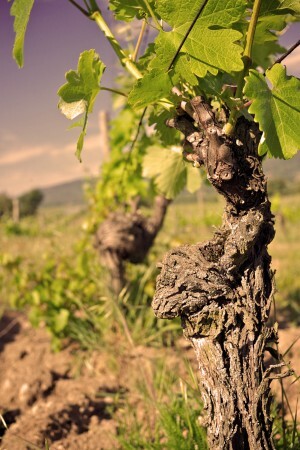 Since the vines are stronger, there is usually less disease present and when problems occur they are usually less serious. Everything is always linked to the question of balance! …so most of our efforts focus on prevention, towards the end of the winter season the vines are treated with mixtures of nettle and comfrey, concoctions of horsetail, savory and other types of plants. 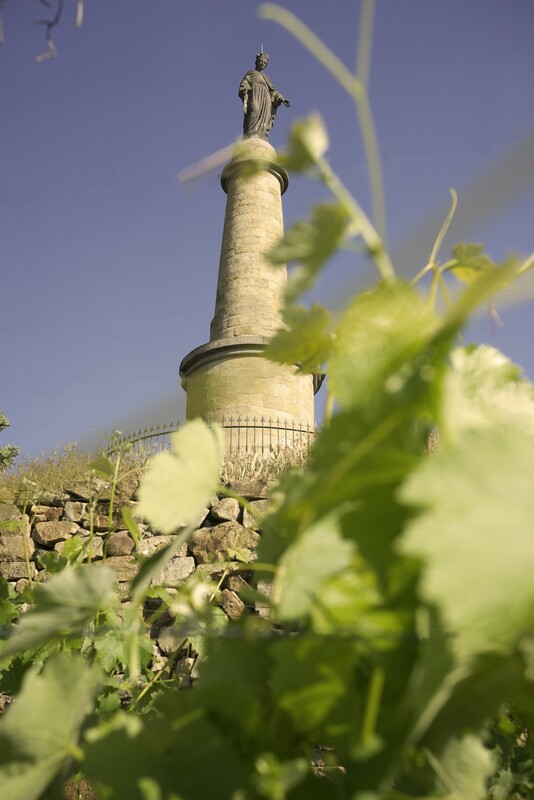 These fortify the vines which grow rapidly in the spring and improve their natural immune systems. Yes, vines have immune systems just like us! 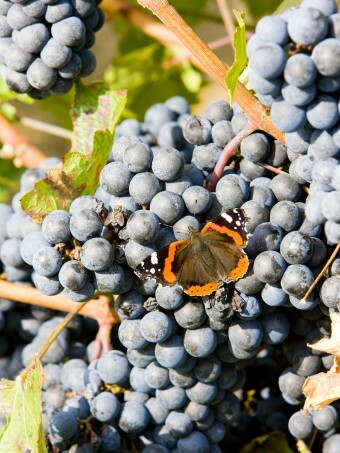 On this basis, it is easier to give the vines a little boost when disease is present. 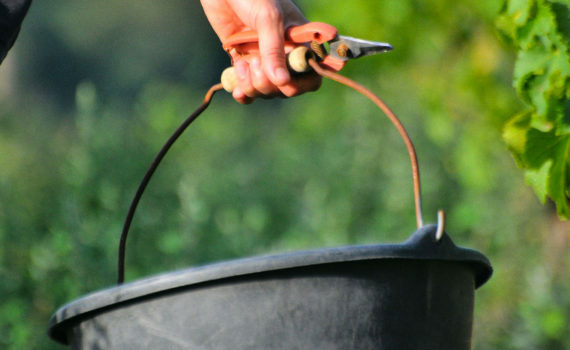 We use treatments prepared with very small doses of sulphur and copper and even essential oils. 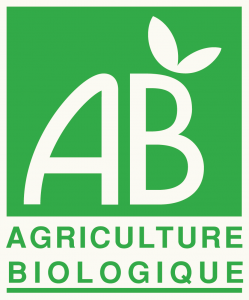 Tout est question d’équilibreCulture sans engrais ni traitement chimique QAs for the soil, we are particularly interested in the intensity of its microbial life. If need be, we use de-hydrated organic compost which is bovine-manure based. To reduce natural grass growing, either we rake the soil over or we cut the grass depending on the plot. 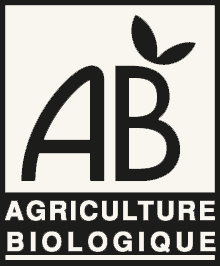 Respect de l’environnementFavoriser la biodiversité et la faune auxilliaire This type of farming, which uses no chemical treatments or fertilisers, means that the environment is respected and preserved. Thus, the local biodiversity and fauna benefits from the organic farming methods. The vines themselves are healthy, their roots grow deeply into the sub-soils and they absorb all the exceptional characteristics that this terroir offers.